Evgeny Kuznetsov will replace Washington Capitals teammate Alex Ovechkin, and James Neal of the Nashville Predators will replace Jonathan Toews of the Chicago Blackhawks at this weekend's NHL All-Star Game. A one-game, slap-on-the-wrist suspension isn't enough to stop NHL teams from keeping their banged-up players out of all-star weekend. 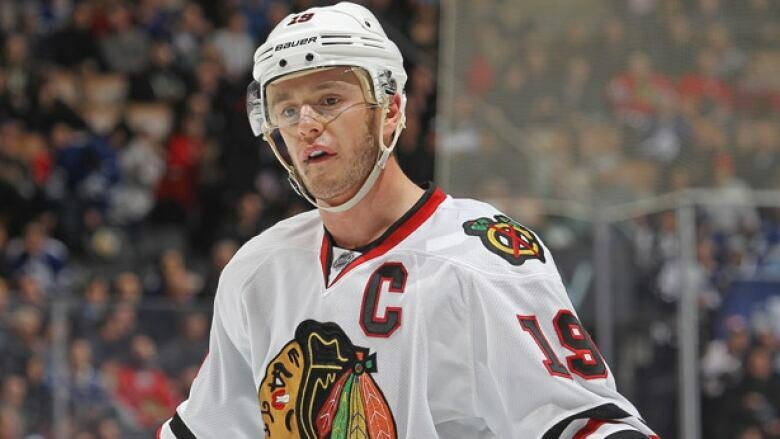 The league said Thursday that Chicago captain Jonathan Toews won't participate in all-star festivities in Nashville after he left a game this week with an illness. That came one day after the Capitals' Alex Ovechkin pulled out of all-star weekend with a lower-body injury that the team said had been bothering him since November. Ovechkin and Toews by rule are suspended for the first game after the all-star break, the same punishment the Pittsburgh Penguins accepted last year with Sidney Crosby. The NHL's rule was first used in 2009 against Detroit Red Wings stars Nicklas Lidstrom and Pavel Datsyuk, and now it has been levied against five of the league's top players. More teams are opting to play it safe. "We had to make a conscious decision on that," Washington coach Barry Trotz said. "That's the rules. You've seen other teams make that decision. I was out West, and Detroit's made that decision a few times. The ultimate goal for us is to go deeper than we did last year, so sometimes you have to make those decisions. We made it. And we'll just deal with it." Ovechkin and Toews have each appeared at a handful of all-star games, and the price of missing a Feb. 2 game is insignificant compared with potential long-term ramifications. Blackhawks physician Michael Terry said Toews left Chicago's game Tuesday with an illness and was symptomatic again Thursday, so he believes "rest over the break is most important for him to properly recover and be fully healthy heading into the rest of the regular season." The Capitals are atop the NHL standings as the best team in the Eastern Conference, and the defending Stanley Cup-champion Blackhawks are the best in the West at the break. Washington will still have three all-stars, as fellow Russian Evgeny Kuznetsov will replace Ovechkin and join centre Nicklas Backstrom and goaltender Braden Holtby in Nashville. The host Predators now have four representatives, since Toews' replacement is winger James Neal. He joins Nashville defencemen Shea Weber and Roman Josi and goalie Pekka Rinne. New York Islanders center John Tavares replaces Ovechkin as captain of the Metropolitan Division for the league's new 3-on-3 tournament format. Playing 3-on-3 for 20-minute periods is something Trotz expressed concern over earlier in the week. "I think for some players, if you have a lower-back [injury] or groin issues or things like that and you get caught out on some of those long shifts … you can get caught out there for quite a while," Trotz said. "There's some of those foot races — you take a shot, miss the net or you get a great offensive chance, now there's a race all the way back. When you're fatigued you can probably blow a groin or something. If you have any kind of low-back or groin issues, those are things that could lead to re-injury." Ovechkin said he hasn't been healthy for a couple of months. As much as he enjoys all-star weekend, he said he was OK with the organization's decision to hold him out. "This was a hard decision, but we talk about it, coaching staff, trainers and we tried to battle through it, maybe it's getting better, but it's stayed the same," Ovechkin said. "I have to get ready for the rest of the year, get healthy and I think we have a good chance to have success and I want to be a part of it. I don't want to miss important things."